When you’re on the go, having the right portable electronics can always make life a whole lot easier. Part of that is just taking into account what you need and finding what fits you. The same portable electronics don’t work for everyone. Thankfully, there’s a lot of variety out there. 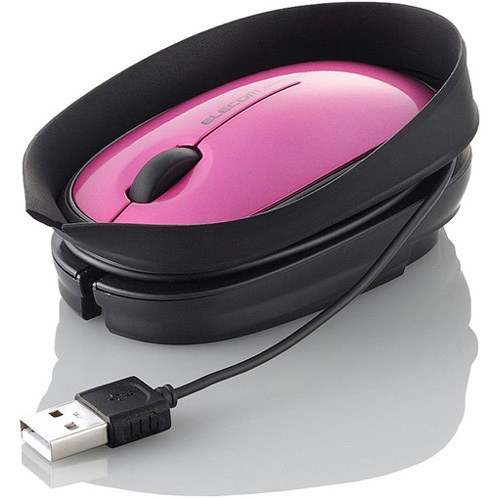 Well if you need a mouse for your laptop but don’t want a cordless one, this would make for a great gadget to pick up. It has the cord, but it is able to store the cord away, which means less of a tangled mess at the bottom of your laptop bag. If you’re the type that enjoys nature and animals, then your gadgets might as well reflect that. I know that the cuddly gadgets get a little more grief than the rest, but having a diverse selection of gadgets is always beneficial. It means not everyone is stuck carrying around the same boring generic portable speakers everywhere. Someone has to shake things up and keep things interesting. 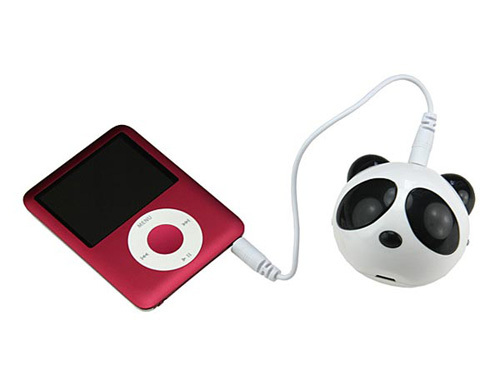 Well this USB Mini Panda Speaker is definitely cute and not your average speaker. 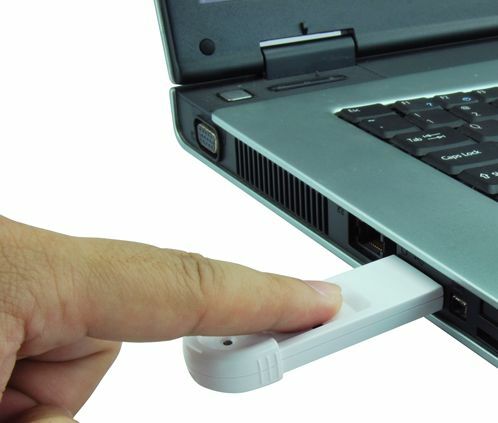 This isn’t the first USB drive with a little fingerprint security thrown in. It is definitely one of the cheaper versions though. When it comes to extra security though, some might not like that the drive is remarkably cheaper than the rest. That is, since it might be indication of a slightly more inferior product. However, for those that are willing to give the cheaper drive a chance, you might want to check out this USB Fingerprint Security Lock Flash Disk. 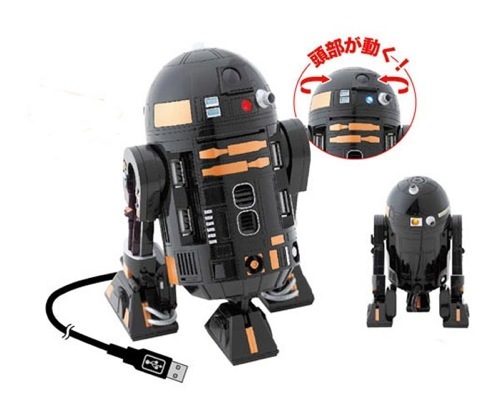 I have already come across R2-D2 USB hub, which is extremely similar to this one. However, if you’re looking for a slightly less obvious Star Wars accessory, then you might enjoy this one. It’s the R2-Q5 USB Hub. It’s pretty much the same as R2-D2, only it has a slightly darker paint job added to it. Which could make it appeal to those that are tired of all of the bright white gadgets out there. Plus you can only own so many R2-D2 products before you need to branch out to other droids. Back when Lego celebrated 50 years of Lego creations, they released shiny gold colored bricks. 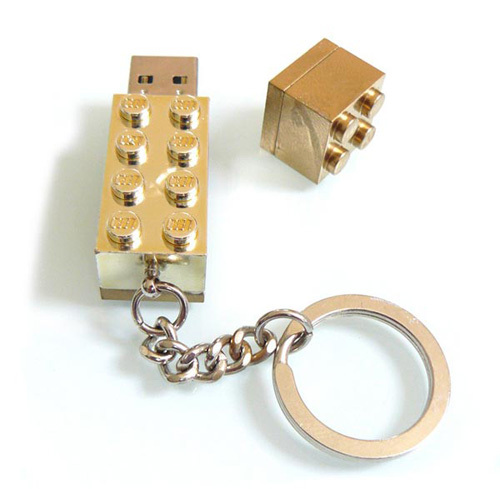 Well someone took one of the bricks from that release and turned it into a USB drive. If you enjoy bright golds and miss the days of toying with Legos for hours on end, then it’d be a fun drive to carry around. Don’t worry though, although this was done by an individual, you can actually purchase it. Some of you may remember when we reported on the IDVault, a device that kept all your passwords in one convenient USB thumb drive. I believe the creators of that particular device wanted to insure that user personal data was kept safe, so that he or she would not have to worry about entering a password. It is also an extra level of security. In an age where everything is on the Net, someone could easily obtain our information with nothing more than a few passwords and numbers. 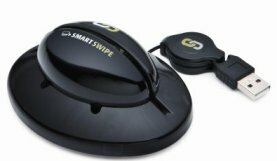 The SmartSwipe was invented to insure that our credit card numbers would be safe. 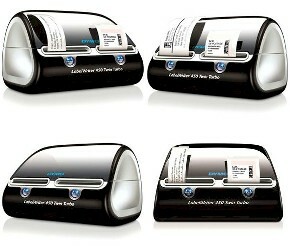 The SmartSwipe is a credit card reader that plugs right into the USB drive, and makes you look like a retail cashier. However, it is designed for those who shop online and will encrypt the credit card data before transmitting it to the computer. This is different than most online security programs, that only protect information on the way to the Internet. This is by far the most interesting looking laptop cooler I’ve seen around. Sadly it goes under your laptop, so even though it looks really good, it’s not going to be seen a whole lot. The odd shape of this USB cooler is inspired by an octopus. Although I’d say it’s incredibly debatable as to whether or not it actually looks like an octopus. It does at least draw one’s attention, all the while it keeps your laptop much more cool.